In October 2017, President Trump’s former campaign chair, Paul Manafort, was charged with multiple violations of the Foreign Agents Registration Act, or FARA. What followed was a flood of front-page stories thrusting this once overlooked law into the spotlight. Not surprisingly, all that attention reinforced some misperceptions about the law, most notably that it applies only to political lobbying on behalf of foreign governments. In fact, FARA is a staggeringly broad federal law, which requires registration with the Department of Justice for a wide array of routine communications activities performed on behalf of foreign individuals and companies. This confusion about FARA’s true breadth could have important implications for comms firms representing foreign clients –- especially in light of increasingly aggressive monitoring and enforcement by the FBI and Department of Justice. Here are answers to three common questions about FARA, to help you better understand the law and what it means for your firm. Isn’t FARA just about lobbying and government relations? No. 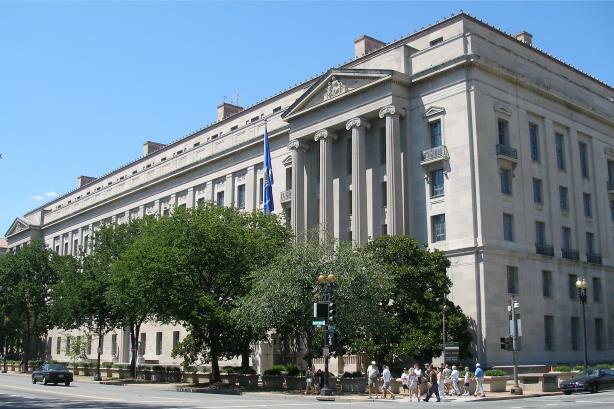 FARA requires those who engage in certain activities on behalf of foreign companies, governments, and individuals to register with the Department of Justice through publicly-accessible online filings. To be sure, political lobbying does require FARA registration. But FARA is much broader than that. At base, FARA is intended to require registration for anyone seeking to influence U.S. public opinion and policy on behalf of a foreign client. Accordingly, FARA requires registration for core communications activities, including, in broad terms, disseminating any, "oral, visual, graphic, written, or pictorial information or matter of any kind, including publication by means of advertising, books, periodicals, newspapers, lectures, broadcasts, motion pictures, or otherwise." So, you may need to register under FARA if you are communicating with the media, drafting social media posts, conducting search engine optimization, monitoring media coverage, generating website content, or conducting public outreach on behalf of a foreign principal. In short, if you are engaging in core comms work on behalf of a foreign organization, government, or individual, you should be carefully assessing your FARA obligations. Doesn’t partnering with legal counsel to manage litigation or crisis communications exempt my firm from FARA registration? No. FARA does exempt from registration attorneys representing foreign clients in proceedings before U.S. courts and government agencies. That’s known as the "practice of law exemption." But the exemption is narrow. For instance, it does not generally cover attempts to influence public opinion outside of official government proceedings, at least when those attempts relate to U.S. policy or the interests of a foreign government. And, the boundaries of the exemption are not well-defined, especially when it comes to communications activities loosely linked to ongoing litigation. So, a communications effort on behalf of a law firm’s foreign client may well fall outside the law exemption, even if it is intended in part to benefit ongoing litigation. The bottom line: the involvement of lawyers, or the existence of litigation, does not necessarily exempt your work from FARA registration. Rather, because there is no clear line, determining whether you need to register for litigation-related communications activities requires a detailed, fact-specific analysis. Doesn’t FARA just apply to work on behalf of a foreign government or political party? No. FARA requires registration for certain activities when those activities are performed on behalf of a "foreign principal." The law defines "foreign principal" broadly, including not only foreign governments and political parties, but also foreign organizations and individuals. As a result, activities performed for foreign corporations, nonprofits, think tanks, and even individuals can fall under FARA. No connection to a foreign government or political party is required. So, if you are coordinating social media posts for a non-U.S. citizen living outside the United States, or drafting press statements for a company that is headquartered in a foreign country, you should be thinking about FARA. There are, of course, limits to FARA’s reach and working for a foreign company, government or individual does not always require registration. For example, the "commercial exemption" carves out activities meant to promote the trade or commerce of a foreign client. As a result, if your work is intended purely to benefit a foreign company’s commercial interests, it would likely not require FARA registration. So, if you are drafting press releases in connection with the opening of a foreign-owned hotel chain or coordinating a consumer PR campaign for a new foreign car model, your activities may fall under the commercial exemption. But, like many other aspects of FARA, the boundaries of the commercial exemption are far from clear. For instance, the exemption does not cover activities that directly promote the public or political interests of a foreign government. And, the analysis can get complicated when a foreign government has strong interests in the same issues that are crucial to a foreign company’s business. Determining whether communications activities on behalf of a foreign client require FARA registration entails a careful, fact-specific assessment. And considering the government’s recent focus on this once-obscure law, a good time to do that analysis is now. Nick Lewin is a founding partner of law firm Krieger Kim & Lewin, and previously served for more than a decade as a federal prosecutor investigating and prosecuting FARA and other national security cases, and as the special counsel to two FBI Directors. His colleague at Krieger Kim & Lewin, attorney Alexandra Messiter, also contributed to this article.